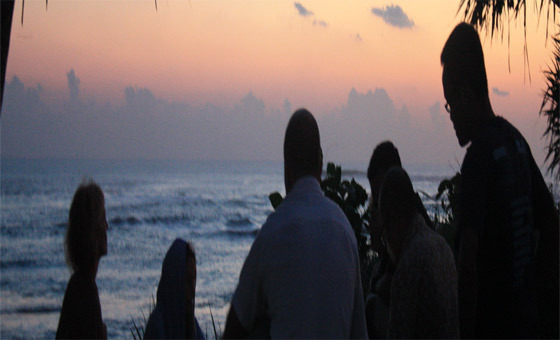 Sivana Bali is a luxury addiction treatment centre. We combine a clinical, physical, spiritual and practical approach to addiction treatment. Sivana limits our intake to six clients at any given time in order to deliver a truly intimate rehabilitation experience. We offer highly personalized and intensive 28 and 60+ Day Rehab Programs. Dependent on the individual client’s needs, longer-term rehab clients are welcome to stay for periods up to 6 months. Sivana Bali Luxury Addiction Treatment Centre offers 24-hour care and supervision. All of Sivana Bali’s staff have been chosen for their high level of professionalism, breadth of knowledge, supportiveness and compassion. Our counsellors, psychologists and medical team come with high regard and internationally recognized qualifications. Our staff is overseen by a full time clinical psychiatrist specializing in addiction treatment and dual diagnosis. Our on-call medical team of registered doctors, nurses and support staff can perform supervised alcohol and drug detoxification. Our addiction treatment centre can also perform minor medical/surgical procedures, and assist clients with most any minor injury or health problem, right from our in-house medical room. Our education component covers all areas of addiction from biological perspectives, harm reduction & crisis management, to nutritional health, fitness and self-care. The Sivana addiction treatment model utilizes Stepwork, also known as the 12 Step Model as frame of reference. As such, clients are expected to attend at least one 12-Step Fellowship Meeting each day, for the length of their program. It is important to note that Sivana Bali is a multi-faith organization. Clients are expected to follow the individually designed day-to-day programs which address all aspects of life in recovery. Our addiction treatment model is based on a multi-disciplinary, holistic approach which looks at “The Whole You.” We offer a host of extensively researched tools from several psychological and therapeutical methodologies, combined together in a highly personalized delivery to ensure a successful recovery for each and every one of our clients. We also provide assistive Dual Diagnosis treatment for any coexisting mental illnesses such as depression, anxiety, PTSD & bipolar disorder, to name a few. Our detox program is fully medically supported, and succinct with western standards. The renowned BIMC Hospital on standby at all times, should the need arise. To us, addiction treatment therapy does not mean just working on the mind and spirit, the body is also an intrinsic part of our programs. In terms of alternative, holistic & therapeutic treatments, we rely on both internal and external providers. Bali attracts the finest therapy specialists from all corners of the globe. Sivana Bali utilizes these specialists as a core component of our unique approach. Our Weekly Rehabilitation Schedule places an emphasis on daily outdoor activities such as yoga, fitness, surfing and swimming, engaging the mind and body. This practice exposes clients to enjoyable activities outside of their previous using environment, and assists greatly in the cleansing and personal transformation processes. Clients are given freedom to pursue extracurricular leisure activities on the weekends. We offer a multitude of activities such as horseback riding on the beach, river rafting, ATV rides, surfing, snorkeling, golfing, mountain climbing, cycling, cultural tours, shopping, sight-seeing and exploring the multitude of exotic destinations here in Bali. Most addiction treatment centres claim to provide solid aftercare support programs. Follow-up on this claim is, unfortunately, often less than substantial, and far from effective, leading to relapse. Evidence shows that it is once a client returns home that their recovery process is ultimately tested. Our support program encompasses a unique Monitored Relapse Prevention schedule, job readiness assistance, connection to local recovery support groups, sober living homes and recovery practitioners. The journey to addiction recovery is an ongoing process, and thus, our one-on-one support system is always available to assist with the needs of our clients. We love hearing that our past clients continue to stay clean, sober, and on the path to recovery. We pride ourselves in supporting them with consistent follow-ups, giving them support in whatever fashion they might need. Whether it is connecting them to support groups, referring them to further professional help, or a friendly chat to let them know we are still there for them whenever they might feel vulnerable.